Yesterday, the ACLU came to the defense of a music blog that had called on Taylor Swift to denounce white supremacists, an assertion that inspired a threatening letter from the pop star’s lawyers. 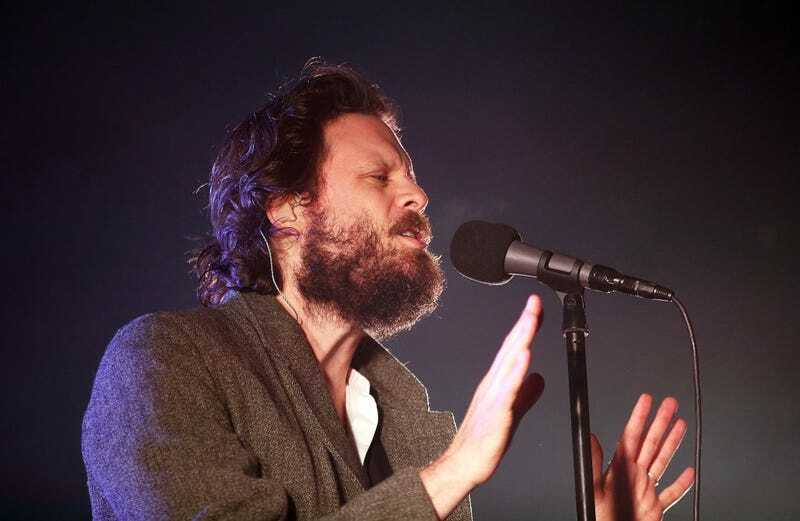 Today, a new party entered the fray: yes, it’s our good friend Father John Misty, here to do the Father John Misty thing again, which is to insert himself into the conversation while making fun of us all for having it in the first place. In a Facebook post that he has since deleted, Misty issued the sort of ironclad statement Swift had been called on to deliver, only refashioning it to disavow the real enemy here: music bloggers. Unnecessary as this may be, it’s come to my attention that my music has been adopted by a certain online faction that has seen fit to interpret and present it via its own ideological prejudices. Though I am in no way affiliated with this group and have made numerous attempts to distance myself from its rhetoric and agenda I still feel the need to roundly denounce it, so with the help of my legal team and much prayer, here goes: music blogging is and always has been entirely unacceptable in a civic society—as is anyone who claims to be a music blogger or associates with music blogging. Music blogging’s very foundation is inequality—pathologically bent on sustaining the supremacy of one class of music over another based solely on its immutable traits. It is unwelcome here. Thank you all very much. It’s not really fair to pick into the logic of the joke, but (deep sigh) if anything, music criticism has grown increasingly pop-focused in the past decade, and also no one calls it blogging anymore, and also the press has been very good to him over his career, but whatever. By writing about his deleted joke we have successfully proven his point. Swift is, presumably, drastically reworking a Reputation b-side to obliquely reference this entire affair, which Misty will then cover, all of which we all blog about.